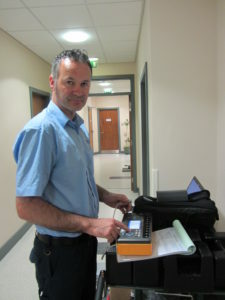 Ian Flynn from Accuccience callibrating medical equipment which is done on an annual bais as part of the IPCS Audit process. MPHC is able to demonstrate and measure patient care standards in a comprehensive manner through the building and management standards it uses. The building is built to the highest medical building standards namely the UK Technical Memorandum Standards. 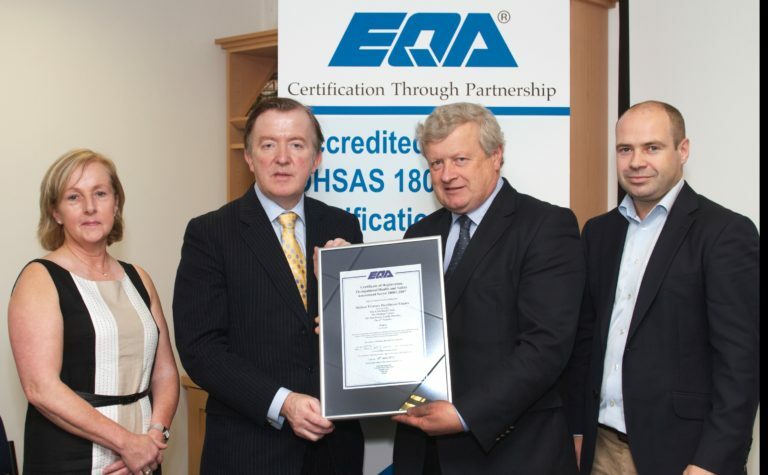 We looked at the available international standards and were certified to ISO 18001:2007 (formerly OHSAS 18001:2007) in June 2010 and annually since by EQA. MPHC was the first time a medical institution in Ireland has achieved this. What this means is that we have clear objectives and targets with a continuous improvement programme in place. Equipment is calibrated and serviced regularly. Clinical, managerial and regulatory activities are reviewed on an ongoing basis. Complaints and incidents are handled in an organised way and responded to. All of this is assisted by a state of the art computer system. 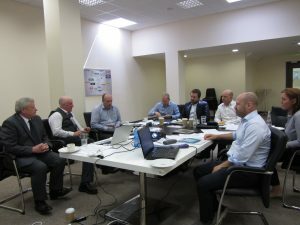 In conjunction with this the International Primary Care Standard (IPCS) has been developed over the last 6 years in MPHC and individual practices, with the co-operation of different individuals experienced in clinical, management and scientific standards development, as well as inputs from patient groups & experienced auditors. IPCS was developed as an affordable, fit for purpose standard for all pre-hospital health services, Primary Care Centres, GP practices and other Healthcare providers.